We are excited to be joining Poi Dogs for their 4th birthday party on August 26th! From 4 pm - 8 pm, there will be food, shopping, dog adoptions, special discounts, and so much more! This event is open to the public and we encourage you to bring friends and family so they can become a part of the Poi Dog Hui. For more information on Poi Dogs or the event, check out Poi Dogs Day Care & Boarding on Facebook! We hope to see you there! FAF is desperately in need of donations to cover the medical costs of our pups. Diesel is undergoing surgeries for his broken jaw and Dot is now dealing with a terrible unknown cough. Unfortunately, their medical bills are piling up fast and we need the support of our dedicated FAF family and followers. If you'd like to help one of our pups in need of financial aid for medical care, please consider making a tax-deductible donation! Your help is greatly appreciated and will directly help us take care of Oahu's homeless pets. We'd like to introduce everyone to FAF's newest pup, CoCo! 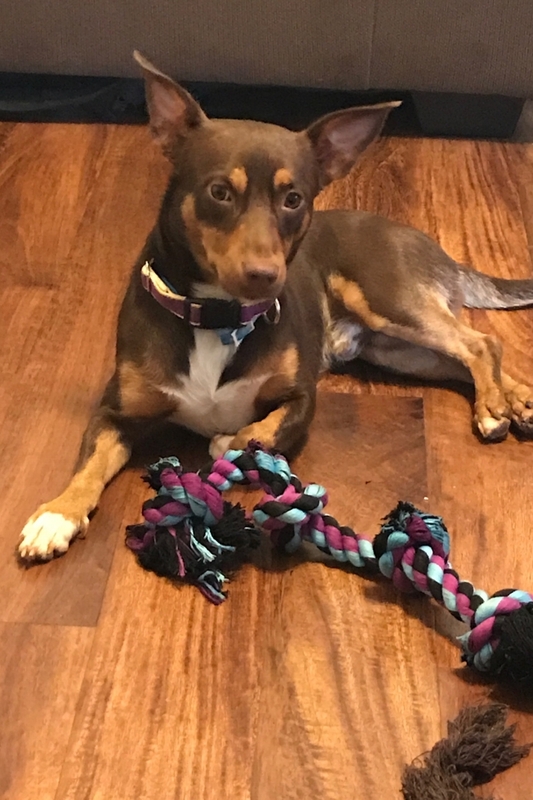 She's a year old Chihuahua/Terrier mix, who is spayed, chipped, dewormed and vaccinated! She's a very sweet girl who is ready for adoption and is looking for a loving home! Please join us in welcoming CoCo to the FAF family! If you are interested in adopting this pretty girl, please head over to our website and submit an application interest form. Additionally, Rustee has finally been medically cleared and is ready for a fur-ever home! He is still recovering from his skin condition, but he can't wait to find his new family! Rustee is a 7-8yrs old, neutered Papillon mix who loves cuddling and is good with kids and dogs. He needs a special family that understands his medical history and he promises to give you tons of love and kisses! BiBi is also available for adoption and is the sweetest thing ever! 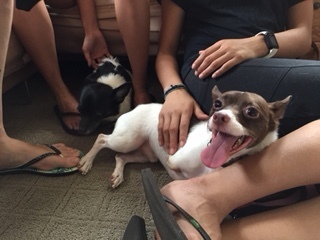 He's a 5lb Chihuahua mix, neutered, chipped, vaccinated and dewormed. 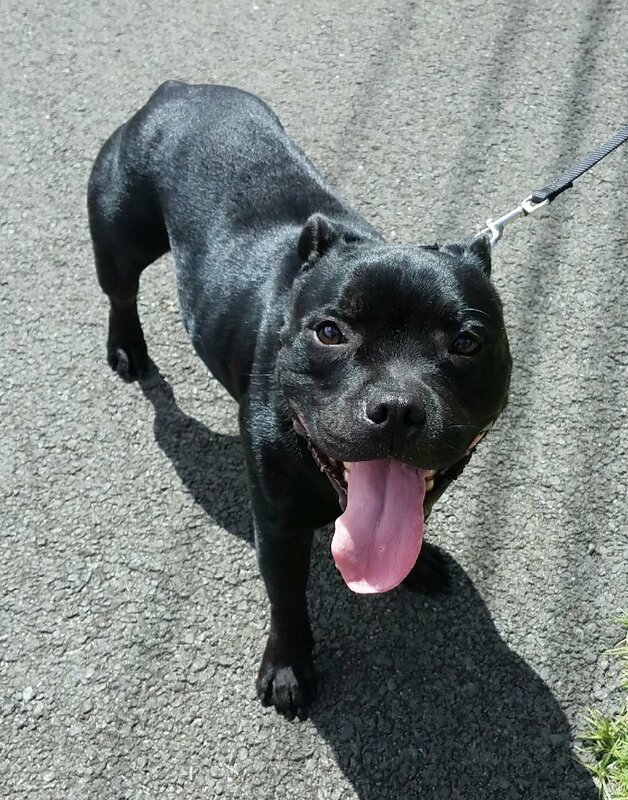 He's a very sweet boy who is looking for a loving, quiet furever home, preferably with another calm pup to keep him company. If you are interested in adopting one of these cuties, please head over to our website and submit an application interest form. Our other pups, Diesel and Dot, are awaiting medical clearance before they can be adopted. If you are interested in welcoming any of them into your home, please submit an adoption interest form today and get a head start on the process! Once these little cuties are available, we don't expect they will be with FAF long! For more information or updates on the pups, visit our website or Facebook. Did you know you can make donations to FAF just by shopping for what you need on Amazon? With Amazon Smile, .5% of every purchase is donated to FAF when you select us as your non-profit of choice! It's super easy and your donations help save lives! We are excited to be joining Poi Dogs for their 4th birthday pawrty on August 26th! There will be food, shopping, dog adoptions and special discounts! This event is open to the public and we encourage you to bring friends and family so they can become a part of the Poi Dog Hui. For more information, check out Poi Dogs' Facebook or website for updates leading up to the event! Mickey with his new fur mom! Mickey has officially been adopted! He is now known as Brutus and he is so happy to have found his furever family with MaeJean! Please join us in a big round of aPAWS for the happy family! 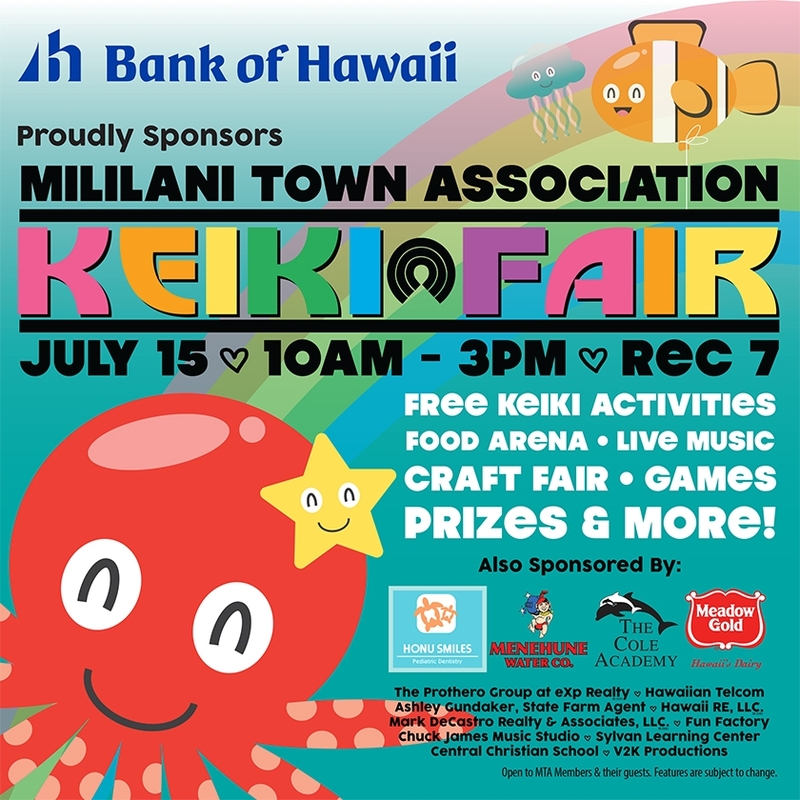 We are excited to be joining the Mililani Town Association for their 3rd annual Keiki Fair on July 15th! It's a fun-filled event with entertainment, games, prizes, education and a FAF adoption event! We hope that you will join us for a day full of fun! For more information, view this map of the event. Check out our Facebook or website for updates leading up to the event! The Fur-Angel Foundation is in desperate need of fosters! The Foundation operates within a foster network of trusted volunteers that share the same passion in giving dogs a chance at a life full of love. Unfortunately, when we do not have enough fosters we are unable to help Oahu’s homeless pets, thus impacting their chances at finding a fur-ever home. By being a Foster family, you will provide daily indirect training, as well as lots of personal attention to help rebuild the trust that is often broken in rescue animals. We are honored to be considered as an alternative to the traditional shelter, offering our dogs experience with socialization and life skills which help ease the process of transitioning into a fur-ever home, but we can’t do it without YOU! If you are interested in becoming a foster, visit Become a Foster page on our website and fill out the form! We'd like to introduce everyone to FAF's newest pup, Bibi! He's a 5lb Chihuahua mix, who is neutered, chipped, vaccinated and ready for adoption! He's a very sweet boy who is looking for a loving, quiet furever home, preferably with another calm pup to keep him company! Join us in welcoming Bibi to the FAF family! Additionally, Dot (left) has been medically cleared and is ready for a fur-ever home! She is back to her happy self and she's been playing, hanging with furriends and is spreading her love to her foster family Kama'aina K9. Dot is about 4-5yrs old, spayed Terrier mix who is a sweetheart and is good with kids, dogs, and cats. She needs a special family that understands her medical history but she is certain to give you lots of love! Mickey (right) is also available for adoption and is the sweetest thing ever! He loves his toys, people, kids, other dogs, and cats! He isn't a barker and has been doing great in the crate! If you are interested in adopting one of these cuties please head over to our website and submit an application interest form. Our other pups, Diesel (left) and Rustee (right), are awaiting medical clearance before they can be adopted. If you are interested in welcoming any of them into your home, please submit an adoption interest form today and get a head start on the process! Once these little guys are available, we don't expect they will be with FAF long!For more information or updates on the pups, visit our website or Facebook. FAF is desperately in need of donations to cover the medical costs of our pups. Diesel is awaiting surgery for his broken jaw, Rustee is undergoing care for a possible underlying thyroid issue which may be causing his alopecia, and although Dot is now healthy, we still are paying off the cost of her care. If you'd like to help one of our pups in need of financial aid for medical care, please consider making a tax-deductable donation! Your help is greatly appreciated and will directly help us take care of Oahu's homeless pets. Are looking for a new furry best friend? We may have just the pup you are looking for! Currently, all our dogs are awaiting medical clearance before they can be adopted, but if you are interested in any of them, please submit an adoption interest form today and get a head start on the process! Once these little guys are available, we don't expect they will be with FAF long! For more information or updates on the pups, visit our website or Facebook page. Did you know you can make donations to FAF just by shopping for what you need on Amazon? With Amazon Smile, .5% of every purchase is donated to FAF when you select us as your non-profit of choice! It's super easy and your donations help save lives! However, if you prefer to make a tax-deductible monetary donation directly to FAF, click the button below! Your donations will go directly to helping our pups with climbing medical expenses. We are so happy to report that Petey and Pauley were adopted recently and welcomed into Bobby and Brenna's family! It has been a long road for these two, but they have finally found a perfect furever home to call their own. We'd like to take a moment to thank some of our friends who helped during P2's time with FAF. This adoption could have been made possible if it were not for our friends at Kamp K9 fostering them throughout their entire time with FAF. 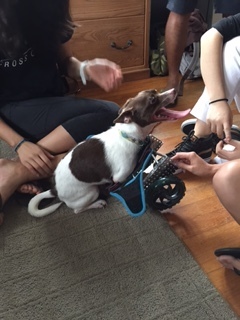 Additionally, we'd like to thank the team at the Iolani Animal Welfare Club for working on P2's mobility devices. Lastly, we'd like to thank everyone who helped with their rescue. THANK YOU!! Do you have a dirty pup that could use a bath, but don't want to deal with the hassle of doing it yourself? Well, you're in luck! Pets in the City will be hosting a fundraiser dog wash on June 24th at Pets in the City and 100% of the proceeds go to FAF to help save lives! All you have to do is Pre-sale tickets are available for purchase and walk-ins will be welcomed. If you'd like to get your pup cleaned and help out FAF, purchase your tickets today! If you have any questions or would like more information on this event, please email petsinthecityhawaii@gmail.com or call (808) 593-1505. FAFedu’s Kaitlin is a PEP Star! PEP! Pet Education Project (a 501(c)3 volunteer-run organization) is an education and outreach program that teaches kids the core responsibilities of pet ownership. They strive to foster humane habits in children and citizens of our community in order to reduce pet overpopulation, abuse, neglect, and euthanasia. For more info, check out their Facebook page or website! Suds, Pups, and Fun with FAF! Don't miss your chance to join us for our annual dog wash! Bring your pup down for a day of suds and an opportunity to help us save lives! Pre-sale tickets can be purchased now from our valued partners, Animal House Veterinary Center or Waipio Pet Clinic while tickets last. Tickets are first come, first serve and once they're gone, no further guests will be able to join in on the fun. Each pre-sale tickets comes with a free raffle ticket. Get yours today! We hope to see you there! For more information, visit our Facebook page! Just a few months ago, we shared that two of our special FAF pups, Petey and Pauley, were in the process of getting fitted for mobility devices due to being born without their front legs. Our fantastic friends at the Iolani Engineer Club have been working hard to make adjustments on the devices since Petey and Pauley had their first fitting. There are still a few kinks that need to be worked out, but it is so fantastic that they will soon have a way to move around smoothly. A BIG mahalo to our friends at the Iolani Engineer Club for all their hard work thus far! We can't wait to see Petey and Pauley in their new mobility devices! The Fur-Angel Foundation is in desperate need of fosters! The foundation operates within a foster network of trusted volunteers that share the same passion in giving dogs a chance at a life full of love. Unfortunately, when we do not have enough fosters we are unable to help Oahu’s homeless pets, thus impacting their chances at finding a fur-ever home. By being a Foster family, you will provide daily indirect training, as well as lots of personal attention to help rebuild the trust that is often broken in rescue animals. We are honored to be considered as an alternative to the traditional shelter, offering our dogs experience with socialization and life-skills which help ease the process of transitioning into a fur-ever home, but we can’t do it without YOU! 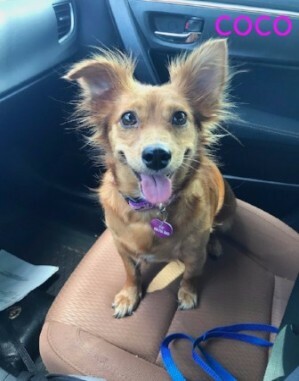 If you are interested in becoming a foster, visit Become a Foster page on our website, www.furangelfoundation.com, and fill out the form! FAF Launches New Education Initiative! FAFedu being interviewed by KITV4! The Fur-Angel Foundation Education Initiative (“FAFedu”) focuses on educating youth about responsible pet ownership to prevent future cases of abuse and neglect. Our goal is to be highly sought after supplemental curriculum in all preschool and elementary schools in the state. We believe that educating children will create an essential foundation for their future as pet guardians. To create the best possible learning experience for Hawaii’s children, FAFedu works with a licensed veterinarian to create our lesson plans. Click here to download our lesson plan summary. For more information on our program, or if you would like FAFedu to teach a class at your child's school, please visit our website at www.furangelfoundation.org.